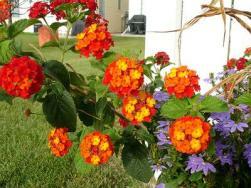 Use these Flower Guides for suggestions of great annual flowers. Each flower finder provides great plant care guides. 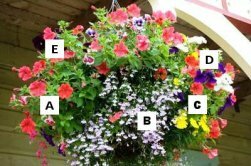 This flower planting guide will hopefully help you find a few plants that will make your Annual Container Gardening experience a delight. 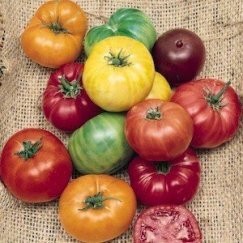 All are well suited to use as deck plants for patio gardening. Most, as potted plants, can simply be placed on the steps or stairs of your home or apartment. 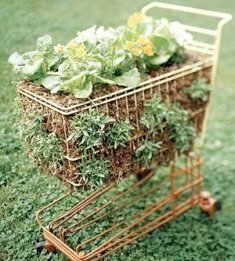 The plant care guides will also give you some container gardening tips. It will help you choose the right location for sun or shade needs. As well as inform you of the height and length of blooming time. All very important when choosing flowers for your Creation!! Remember that some plants come as a dwarf variety. Always try to look for patio gardening, patio, dwarf, etc. on the label. Full Sun is a must! 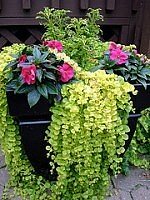 Need more choices for Annual Container Gardening? Find more in these Plant Guides-Index by clicking below.